In a city of sweeping views, everyone wants to be on top. 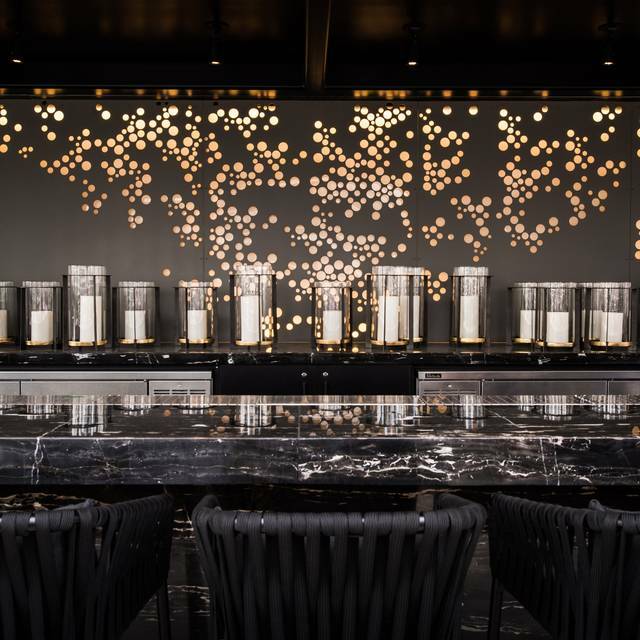 Feed off a space that draws in both visitors and locals and inspires those at the top of their game to engage, sip, converse, taste, connect, and exchange ideas. 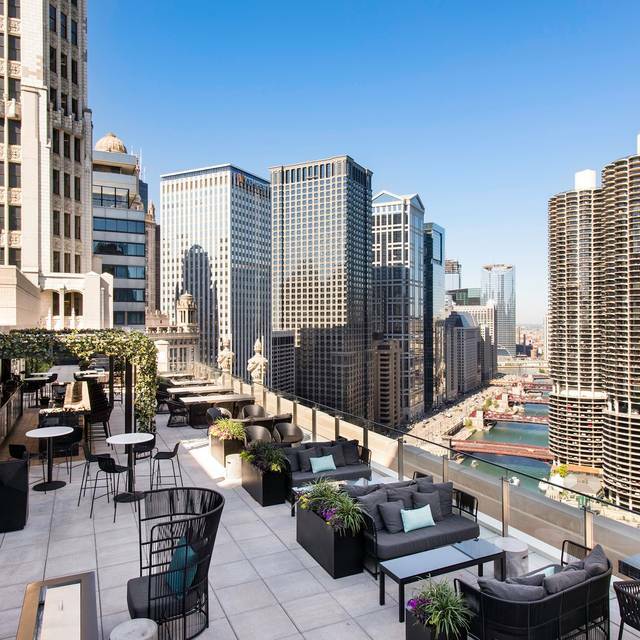 Discover a truly one-of-a-kind experience at LondonHouse Tri-Level Rooftop, Chicago's only tri-level rooftop venue. While the food was excellent, the service was so poor, it was difficult to fully enjoy it. We waited a long time for different reasons, such as our drink order, food order, and request for utensils. We had to return a dish, because it became cold while waiting for utensils; after two requests and one time receiving only a knife, the utensils finally arrived. One of the best burgers I ever ate! Great food, but extremely slow service. Food was warm, but not hot. I think they only had one or two servers working on Sunday so it took us 25 minutes before anyone appproached us for water once we sat down. The menu is limited to only a few choices. It is pricey. It is a lovely setting and good location. The service was just okay. Lackluster brunch menu and no view. We were from out of town and did not realize there was zero view. Awesome staff. Very friendly,attentive and accommodating. Very crowded and we did not get our high top table they gave us a sofa instead which would have been fine had it not been wet!! My martini was warm, yuck and the service was slow due to the crowds. Otherwise nice view of the river and a great sunset. We did not get any food as we were going out for dinner. We didn’t eat here because they closed the roof top kitchen that day, so disregard my food rating. We got there at 5pm so I’m not sure why the kitchen was closed. We rode up in the elevator with a dude who worked there with a smelly disgusting pail and mop. Excellent location provides a great view of the city. The service was great Magic and Chanel were great. I would definitely recommend and return. Beautiful views! Wouldn't recommend the brunch. The staff was unprepared and the food was pretty underwhelming for the overall cost. Great place to grab a cocktail at the most. 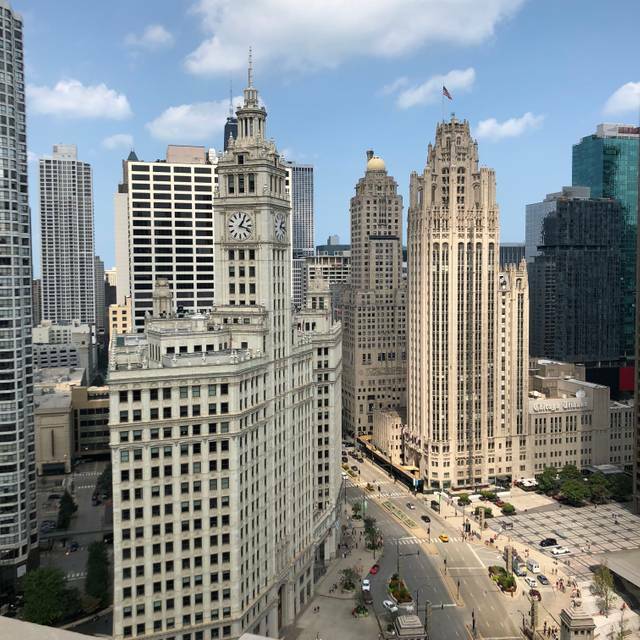 LH Rooftop views are unbeatable and the service was great! This is a bad review, sorry. First, my Yelp is very active and I don’t give bad reviews easily, but unfortunately this is one. I Reserved a rooftop table for me and my wife for her birthday. Was wanting to order some good food and have a great view. We were given the great view. Was promised a server. 20 minutes later, not a single server came by. I let the hostess know we were wanting to order. Another 20 minutes, nothing. I let another server know we wanted to order. 10 minutes later, nothing. Great view, but nothing more. Funny thing is, I read other peoples reviews that stated the same, but I thought that maybe Their experience was an anomaly… It wasn’t. I DO recommend the Seadog Thrill Ride however...very fun! We might do the helicopter ride next. 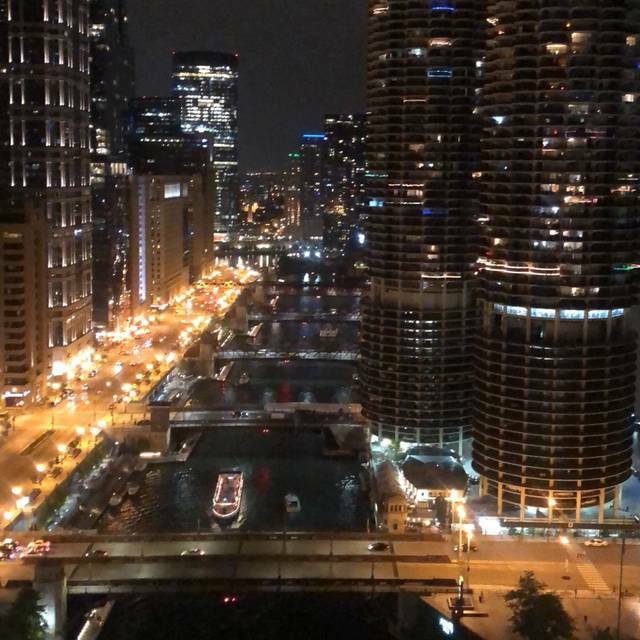 Questo terrazzo al 21º piano nel centro di Chicago, con vista sul Chicago River è veramente mozzafiato! In una giornata limpida come quella che abbiamo scelto permette di ammirare la città mangiando dei cibi particolarmente curati e sani rispetto ai tradizionali menu statunitensi. È assolutamente consigliata la prenotazione fatta con un certo anticipo. 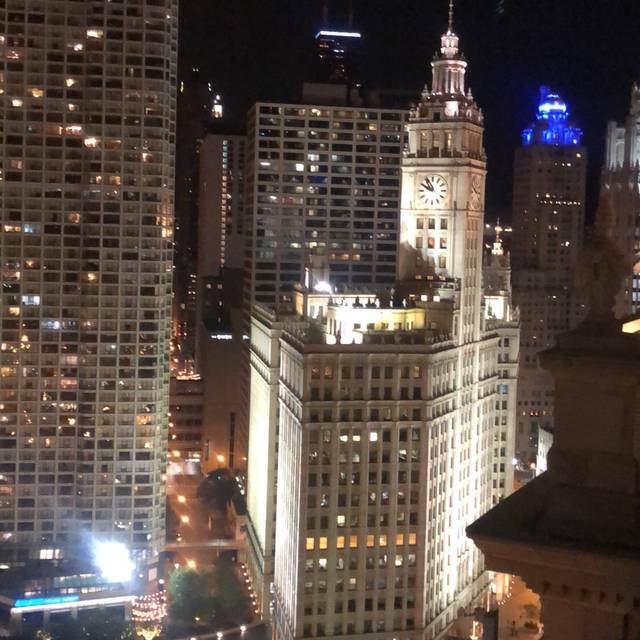 The view is as good as any in Chicago. Drink choices are good. We haven't eaten there but the menu options look good. Be sure to make a reservation if you want a good seat. Waitress was able to turn our poor experience around to a good experience, but disappointed that you all can out of shrimp for lunch. Didn't understand that at all. Very disappointed with our service. Our server took our plates without asking if we were finished. VERY RUDE and when a comment was made she didn't seem to care. For as much as you spend on dinner here you would think common courtesy is to ask if the plate can be removed. View was amazing but would not go back nor recommend to friends. Absolutely stunning sunset. The service was slow and slightly flakey but overall a must experience. I prefer it to the terrace lounge. Gorgeous views got seated in no time! Service was absolutely terrible, on a 90 degree day it took over a half hour to get drinks and water wasn’t refilled without asking several times. For the price drinks could have been a little more fancy looking. No cooper mugs for $15 Moscow mules. Food was tasty but did take a while to come out. Booked a Sunday 10:30 am brunch with my daughter. Beautiful day, barely anyone at the restaurant. Hostess that sat us had a couldn’t be bothered attitude. Sat us next to the door where the garbage goes, I asked to be moved and we were put next to the stinky bar. Thee were Lots of open tables. The brunch menu seemed to be designed to discourage brunch goers. It had just been changed, so open table menu was out of date. Eggs Benedict and waffles had been removed. We were Not the only party very disappointed by the menu. The view is Great. I would go back only for a drink and the view. We were surprised of the limited lunch menu and overall the food was not good at all. Service was ok, not good but nod bad. The only good thing is the view. Really nice views and ok service. Had bad experience at beginning but staff and management were really nice in making it a more positive experience towards end. Would recommend for a drink and awesome views. Views and drinks were awesome. Cruz at the reservation podium not awesome! Ask for Eric if you have any issues. He is amazing and spoiled us after Cruz wasn't being so nice. Make reservations! VERY disappointed in the the 'sangria' (which according to the menu is supposedly made with rose and brandy). My friend and I each had 5 'sangrias' in a matter of 4 hours. When we left, we felt like we consumed zero alcohol and were wondering if they at some point were going to catch up with us. However, upon returning home within an hour of finishing my last 'sangria' I blew 0.00 on my breathalyzer. At the pace the 'sangrias' were consumed and IF there was really any alcohol in the glass, some level of alcohol should have registered. We basically paid $150 (15 each!!) for fruit juice. Completely disappointed we were bamboozled. However, it does go without saying the view is absolutely amazing. In addition, the American Picnic Basket was delightful. Such a cute idea. They allot 3 hours for a reservation and at 2.5 hours they reminded us twice that they needed the table. Kind of off putting. The view is stunning. The food is okay. Awful service, but great view. 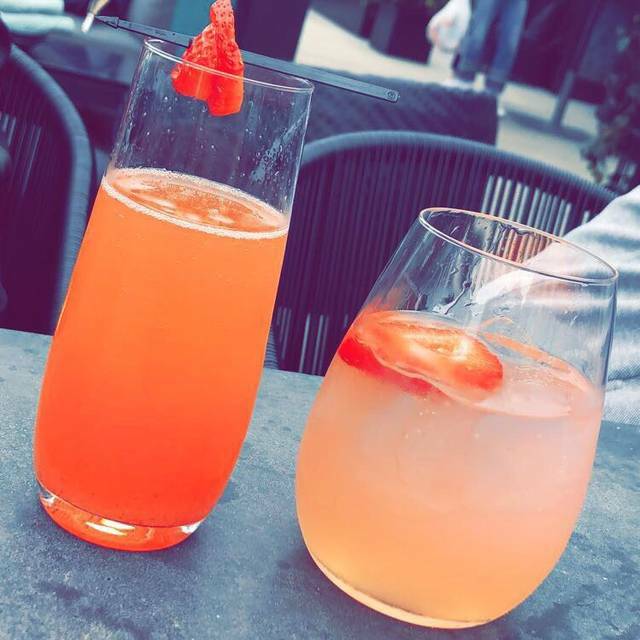 Go for drinks only! This place is riding on its exceptional location and view. Service was poor and food was ok. Be aware that all seating is in full sun in the afternoon and into the evening. Even on a day that wasn't terribly hot, the cloudlessness made this rather brutal, and we stayed for a much shorter time than we had planned. Chicago restaurants are known for their careful attention to service, but that was not the case here. The approach was more one of young, inexperienced staff herding tourists. Go up for a drink, snap a few photos and move along. Our server made our experience bad. She was not friendly and made mistakes on our food order and the bill. Delicious food (one of the best burgers I’ve ever had! ), amazing views outside and incredible ambience inside (had to move inside because it was too hot and sunny on the black leather chairs and there weren’t any um fellas for our table). The service was sparse and not very friendly and there weren’t even that many customers at the time. 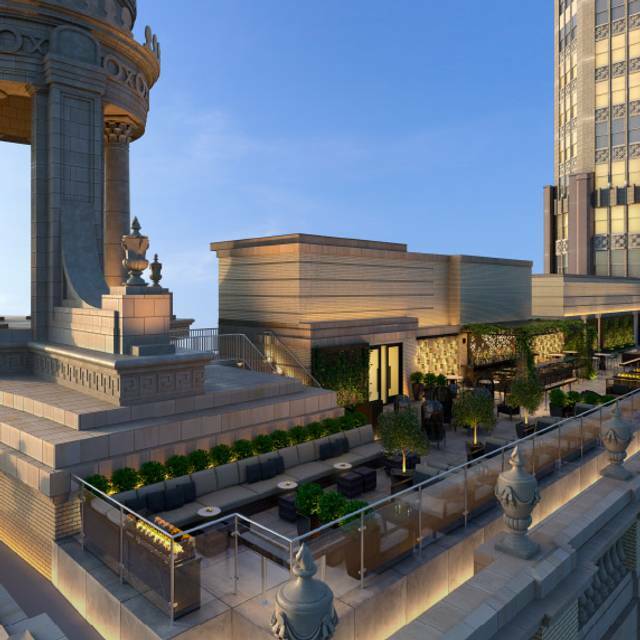 Roof top is a bar scene and not a restaurant. It’s misleading to consider this a restaurant. Had a reservation & None of the staff even acknowledged we were there. After 30 mins of waiting, we left. 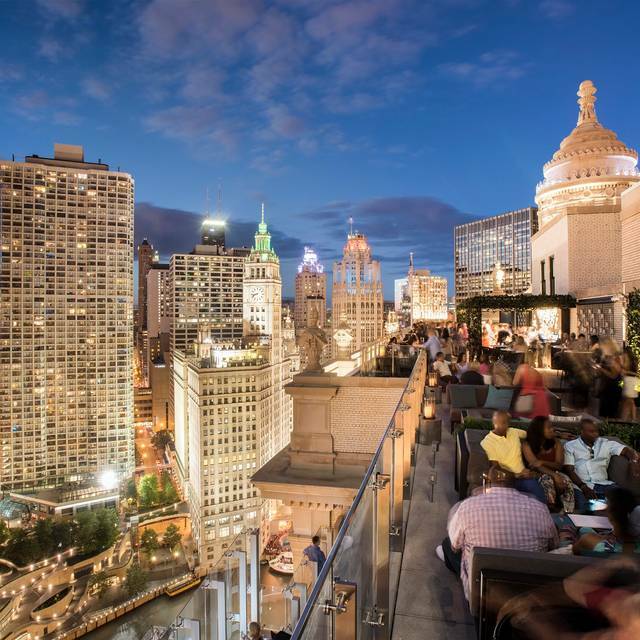 You can't beat the view - best outdoor space in Chicago. We had a table reservation, which put us beyond the crowds on the rest of the rooftop. Only drawback was the too loud music. The truffle fries and caprese salad were great. King crab bites a little bland; fish tacos - so-so. On a beautiful summer evening with friends, there's really no better place to celebrate. My 4oz steak was gone in 2 small bites. More like 1-2 oz for $22, which is outrageous. 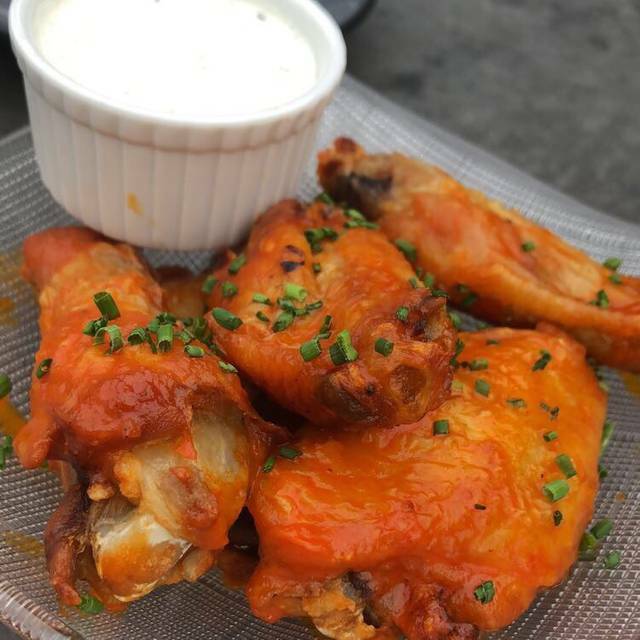 The menu should be advertised as quick bar food bites.